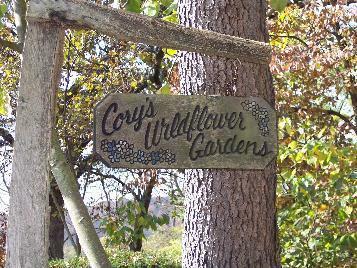 Welcome to Cory's Wildflower Gardens located in south central Ohio on 7 acres of rolling hills with lots of shade and 2 small streams. This is a hosta wonderland. .Robert Cory has been in business raising and selling plants for 68 years. Plan to spend no less than an hour walking the paths enjoying the native trees and flora.View the hostas in the landscape at their very best. Hostas are in 1-3gal containers on some tables,under trees: most are in raised beds to be dug for you. We now have 2200 feet of raised beds to improve plant quality.There are no greenhouses here. Some hosta cultivars sell out early in the season. Helleborus are in bloom now!! Each March, Cory's Wildflower Gardens becomes a sea of blooming Daffodils,Narcissi and Bluebells. To the already existing planting,Robert added 10,000 bulbs in 2010 and another 7500 in 2011.